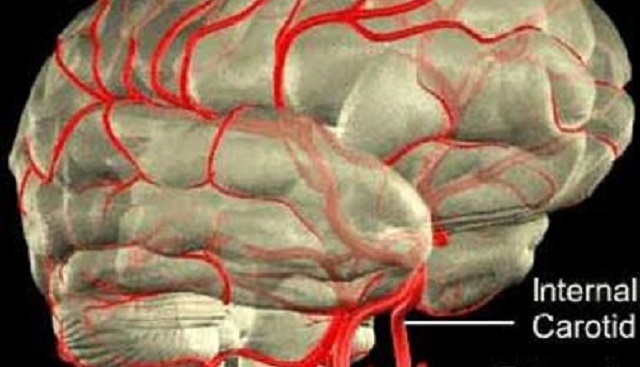 The blood vessels within the skull are sensitive to pain stimuli, as to are the surrounding membranes that hold the brain in the correct position. 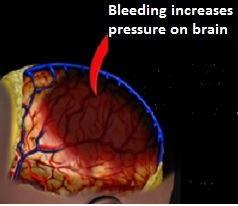 When a blood vessel ruptures (either spontaneously or due to trauma / or pressure), it usually causes a sudden, severe headache, and may displace some of the brain tissue and membranes- causing a progressive stiffness in the neck, and problems with the nerves which control the head, face and even the rest of the body! There are many conditions which may make a patient susceptible to this type of problem, these include: high blood pressure, atherosclerosis, diabetes, aneurysms, head trauma, and aggressive brain tumours. Whatever the case, all of these conditions require urgent medical attention, and can be diagnosed by well established testing procedures, under the guidance of a medical expert, usually a Neurologist. Many of these cases constitute medical emergencies; and further underline the need for an accurate diagnosis for all headache and migraine cases. Often, there is little correlation between the seriousness of the underlying problem, and the severity of the symptoms. If in doubt , see your doctor &/or neurologist.